How often have you heard stories or looked longingly at pictures of people having a great time at some yoga workshop or retreat in a gorgeous corner of the world and wished that were you? How often has it actually been you? So if you just answered that question the way I think you did, let’s look at why. Of course money is usually a factor. That goes without saying. But aside from that, let’s face it – most of us are somewhat intimidated by the thought of heading off, possibly all alone, to spend time in a strange environment with a bunch of complete strangers, all of whom, we are quite sure, do MUCH better yoga than we do. And who can undoubtedly sit for hours in meditation, without fidgeting. And all of whom can no doubt survive on 6 almonds and a grated apple for breakfast and nothing for dinner! Ok so maybe I exaggerate a tad. But let’s be honest – it IS hard to put yourself out there like a vulnerable little lamb not sure what to expect or what will be expected of you. And certainly, some teachers do lead retreats and workshops expecting a high degree of competency from the students who are brave enough to attend. But maybe you’re just looking for a chance to chill out? 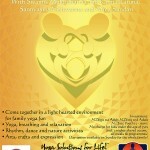 Or a weekend of stimulating discussion of the yoga teachings combined with breath work and deep relaxation. Most of all though, just open yourself up to the idea of going on retreat. 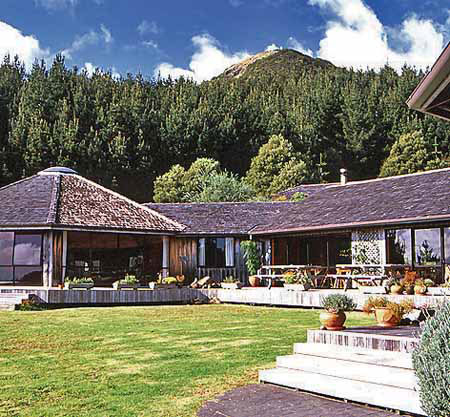 And if you are looking for a retreat designed for the beginner in mind, and also delicious for the more experienced yogi, Albany Yoga Room is hosting a weekend retreat next April at the Mana Retreat Centre on the beautiful Coromandel Peninsula. Graced with sweeping harbour views and lush native bush, even the most travel-hardened visitor will be seduced. An abundant veggie garden ensures home-grown and mostly organic vegetarian meals to suit the most discriminating palate. The retreat centre includes a comfy lounge, a well-stocked library, an amazing Sanctuary and a wonderful meditation platform, all contributing to making Mana a destination worth visiting, even if there wasn’t yoga and meditation on offer. 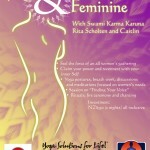 The weekend itself will revolve around the theme of freedom – taken of course from the perspective of a yogic lifestyle. What it means to be truly free and what it is that we do to ourselves that robs us of that freedom. We’ll approach asana practice (which will be gentle and simple enough for all levels of students) with this in mind – how do I practice in a way that creates a feeling of freedom in my body, and in my mind? Likewise with the simple breathing practices that will be learned. And by approaching the spiritual teachings of yoga from this same viewpoint we will explore how the yamas and niyamas can set us free. Everything we’ll be offering is yoga 101 – no need to feel you ‘won’t cope’, and a great foundation reminder for the more experienced. It’s this very simplicity that will guide us and liberate us. Freedom is simple – it’s our very busy, logical, complicated brains that create most of our problems in the first place. And most important of all, this retreat will give you the time and space to slow down and experience a different take on the world for a couple of days. No cooking, no housework, no family demands, no deadlines, no traffic, no Facebook… It’s a chance to relax, refresh and re-energize yourself. Which is exactly why we all need to go on retreat at least once a year. See you at Mana from April 8th to 10th, 2011 🙂 . The retreat will be run by Sue Grbic and Deborah Rubin of the Albany Yoga Room, click here for more details. They are happy to help you organise car-pooling with other students should you wish to do so. You can register for the course on Mana’s website here, just select Albany Yoga Room Retreat from the drop-down list. Yoga and Sacred Feminine – Weekend Retreat During this sacred and powerful weekend we share from the heart, shedding light into the spaces that are often hidden and pushed aside in the hustle and bustle of daily life. Exploring music, dance, yoga and creativity to expand, liberate and unite.